GastroFest is a decadent and interactive charity dining experience for a good cause! Dine with Geoff Scott and Marcel Leydesdorff of Little Wolf, some of New Zealand’s top chefs while being entertained by Will Martin, international entertainer and our MC for the night. 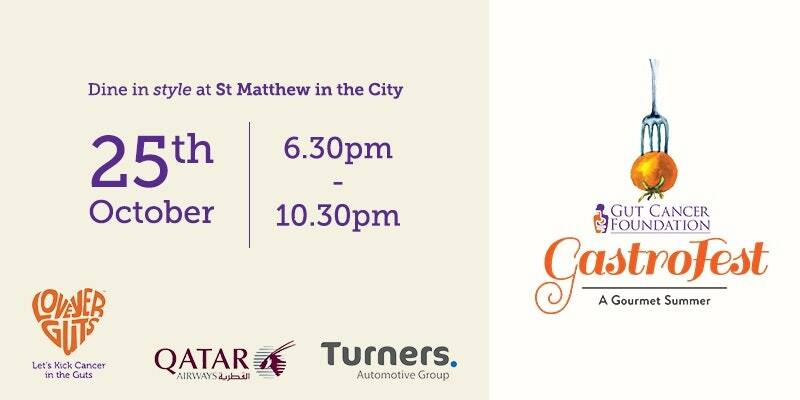 Our 10th birthday we are celebrating in style at the stunning St Matthew in the City. Tickets are limited. Book now. Funds raised support vital cancer research and awareness to improve gastro-intestinal (Gut) cancer survival rates.